With 38 different climbs available in this indoor climbing space, there’s plenty of variety. The unique clip-in automatic belaying system, means the climber is gently lowered down when they let go, which is great for first time or inexperienced climbers. While there is no lower age restriction for rock climbing, you do need a certain level of upper body strength to pull yourself up the walls. Preschoolers might struggle to get very far up but can still have fun. Special preschooler sessions on Thursday mornings (in term time only) might be more appropriate – see under opening hours. 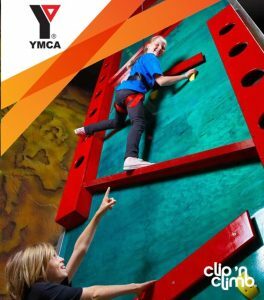 Please note that YMCA Climbing Wall also operates under the same roof and is also recommended but more suited to older kids as the climbs are harder and there’s no auto-belaying system. At this wall you need to be 13 years or older to belay for another climber. 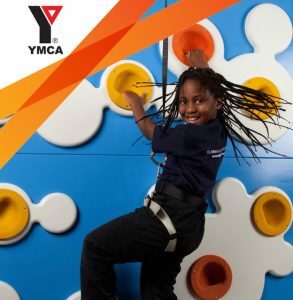 If you’re a local with a child keen to use the YMCA Climbing Wall, it’s worth noting that they have after school classes during term time. Please see here for more details. TOP TIPS: Booking essential. Climbing starts on the hour every hour including 15 minute safety briefing and 60 minutes of climbing. Wear comfortable loose clothing and closed shoes (no jandals or sandals). ‘Leap of faith’ and ‘Vertical Drop Slide’ both cost extra ($5 for one turn, $7 for two consecutive turns). Preschool sessions run every Thursday morning in term time between 12pm -1pm. It’s $5 per child with a free adult supervising.